Caesarstone bathroom countertops in Atlanta are a way to combine performance with beauty when you need to install bathroom vanity tops. 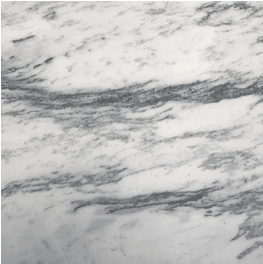 Caesarstone countertops are made from 93% natural quartz, polymer resins, and pigments. As a result, Caesarstone bathroom countertops in Atlanta have unmatched beauty and strength. 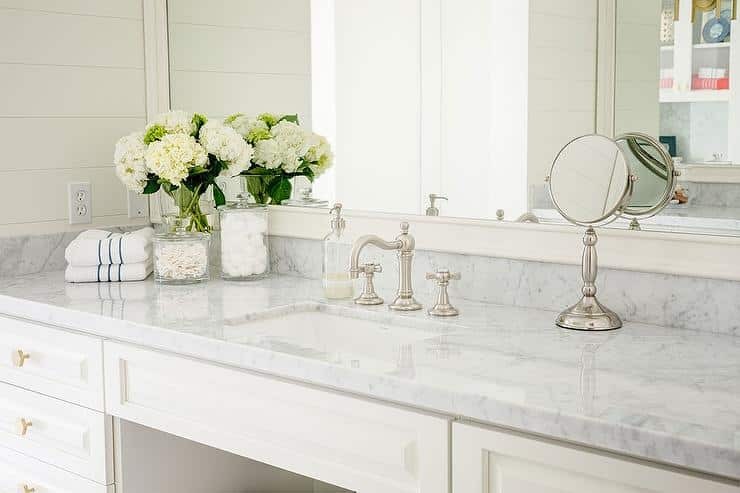 For any bathroom remodeling or fresh construction project, architects, remodeling engineers, builders, real estate professionals, and homeowners find Caesarstone vanity tops perfect to enhance the aesthetics and functionality of the bathroom. The sleek engineered surface of Caesarstone countertops makes them the choice of a large number of people who know the trendy features of the product. 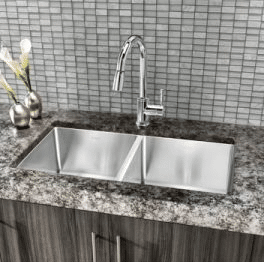 Why Use Caesarstone Bathroom Countertops in Atlanta? Caesarstone countertops have a super stylish and smooth finishing that suits the trending contemporary themes. Their beauty is second to none offering a mind-blowing improvement in the aesthetics of your bathroom. They have the solid feel of natural stones and the beauty of the human brilliant creativity. Installing them makes your bathroom the perfect place to start the day with the feelings of the satisfaction. 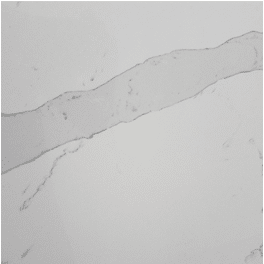 As a product of quartz, which has a hardness of seven on the Mohs hardness scale, Caesarstone bathroom countertops Atlanta are exceedingly strong and sturdy. They are not prone to chipping, cracking, breaking, and etching. They are also waterproof, which is why they are perfect for the bathroom where they would be exposed to water. Due to their strength, Caesarstone vanity tops last for a very long time without suffering any damage. They do not need to be replaced because they do not get broken. 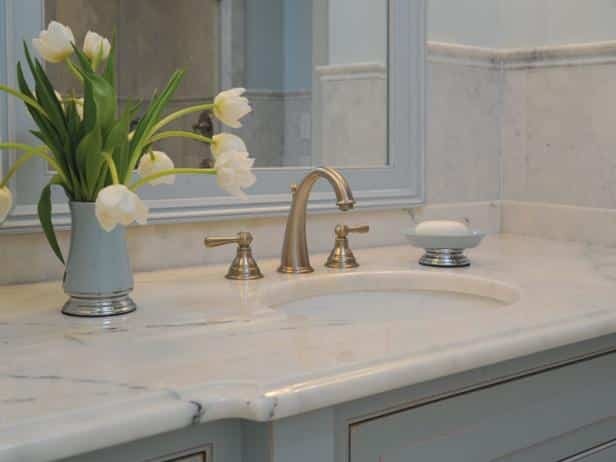 In short, they are a wise investment when it comes to installing vanity tops. 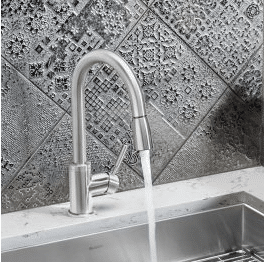 Caesarstone bathroom countertops Atlanta are easy to maintain – they are permanently sealed and need no sealing, resealing, polishing, and reconditioning. A damp cloth and a non-abrasive dish soap are all needed to clean and care for Caesarstone vanity tops. 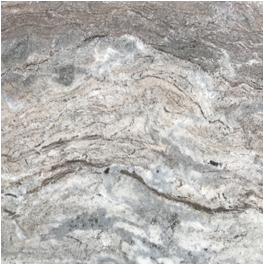 If you want to match Caesarstone countertops with the existing décor, there is nothing to worry about because they are available in a wide choice of patterns and colors due to human involvement in their process of production. Caesarstone bathroom countertops Atlanta increase the resell value of any property. So, homeowners and real estate enthusiasts find Caesarstone vanity tops the best way to increase the value of any property. 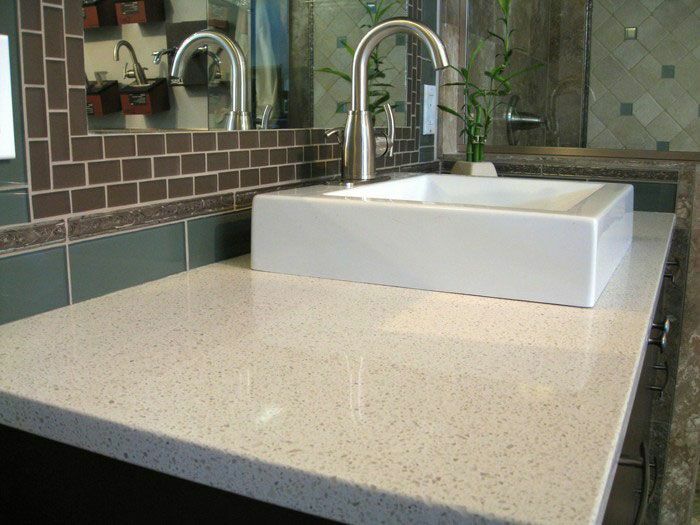 To install Caesarstone bathroom countertops in Atlanta, contact Art Stone Granite and Marble at https://artstoneatlanta.com/ for high-quality products at factory direct prices. We also offer high-quality craftsmanship for the perfect design, fabrication, and installation experience. At Art Stone Granite and Marble, 100% satisfaction is guaranteed. 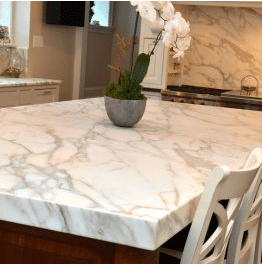 Why use us for your Atlanta Countertops?